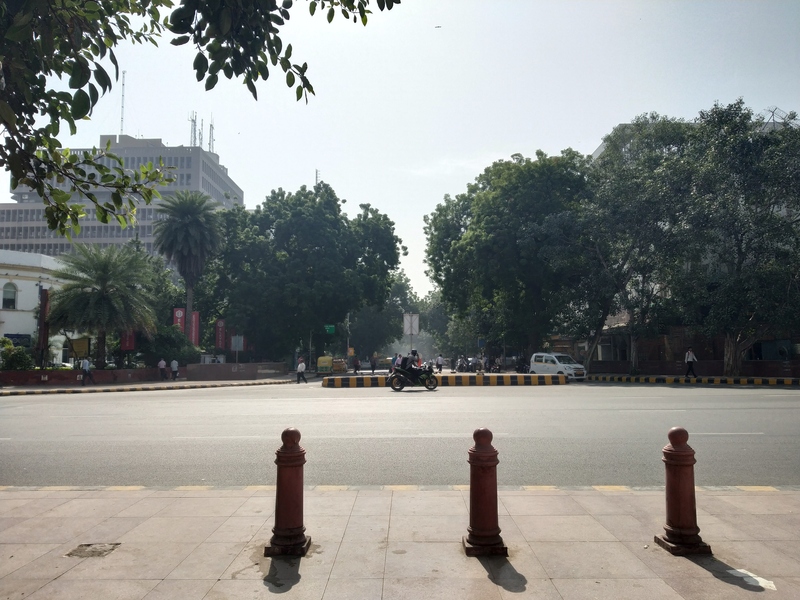 Have you ever wondered how does the always crowded and lively Connaught Place (CP) looks like early in the morning? 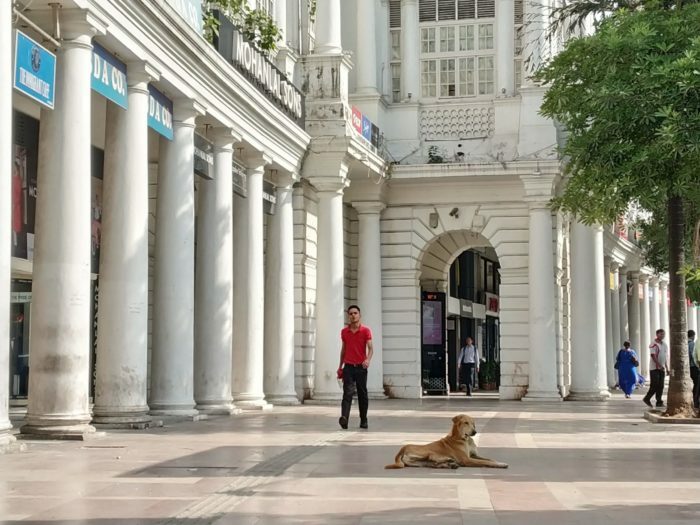 Connaught Place, a.k.a. CP, the happening heart of Delhi is known for its energetic vibes, jam packed cafes, never ending events and a lively vibe that is present here throughout the year.Boasting of Gregorian architecture and named after the duke of Connaught (United Kingdom), CP has carved a niche for itself in the pages of history . One of the ten most expensive markets of the world, as of July 2018, this ivory grandeur has managed to stay in a global limelight as well. But, have you ever wondered when does this lazy, party loving brat wakes up? At 10 in the morning CP is no different than a typical teenager begging for those five extra golden minutes of sleep. At this hour CP follows the rules of our furry friends who though caught in the wave of laziness are the only ones visible in the morning besides, of course, the myriad white pillars. During the early hours of the day, when the office goers and the college students haven’t made it to CP yet and it is still a bit sleepy, devotees queue up for a visit to the Bangla Sahib gurudwara, (a place of worship for the Sikh). Awarded as the cleanest religious place in Delhi in 2017, tourists can visit here not just to experience the Sikh customs but also to get a taste of the prasad, food offering made to the gods, which is later shared among devotees. There is a well managed system of cooking and preparing food for thousands of devotees in the gurudwara, which is also reflective of community harmony and service In here, listening to the devotional music, sitting besides the holy water can land one in a serene trance and far from the crowds that will slowly take over CP as the day progresses. Although all the fancy retail stores are closed early in the morning, you can admire the colourful shutters as you walk past. They can be quite a treat to an artist’s eye. What you can find though is fruit chaat (fruit salad tossed in a mixture of spices) sellers and cobblers gearing up and settling in their usual spots. 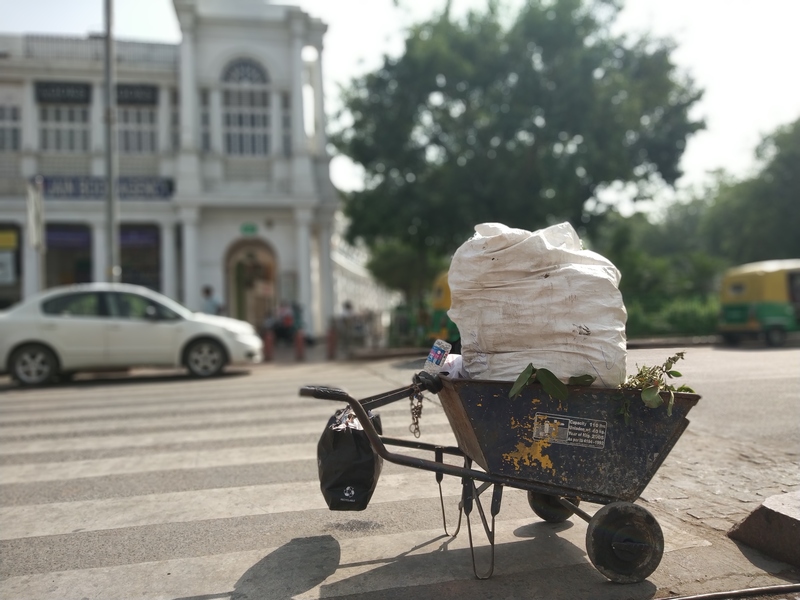 Men carrying loads of boxes, hushing to their stores is a common sight and the cleanliness spree catching hold of this architectural marvel certainly cannot be ignored. Wipers, buckets, mops, brooms, garbage carrying machines mark CP’s mornings. Near the always packed and noisy Hanuman Mandir (a historic Hindu temple), one can see paupers,vendors, and workers sitting peacefully in small groups of their own. And while there is a denotation of god and prayer in this corner of CP, another side is still waking up from the hangover of last night’s parties. As you explore these corners that are still waking up, and hunger starts kicking in head to one of the few food outlets that open up comparatively early. 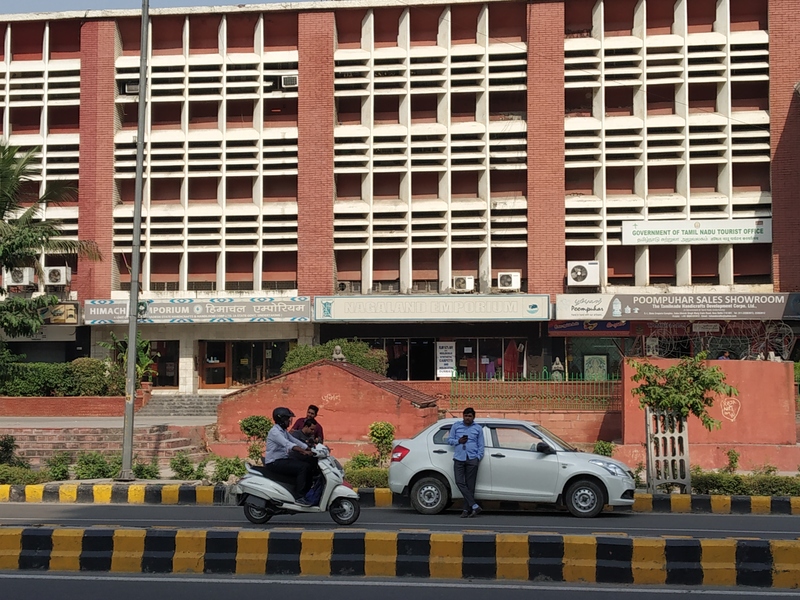 You can head to Saravana Bhavan, which serves one of the best South Indian food in Delhi or Jain Chawal wale that is known for serving some lip smacking north Indian food. Even early in the morning, these restaurants are flocked with people, suggesting their popularity quite well.Even the market adjacent to Hanuman Mandir, serves some snacks. So, for your next perfect morning walk, CP can be a promising option and if you are a book lover head straight towards the famous Oxford Bookstore and spend some quality me time (it opens at 09: 30! ).